Singapore Executive Condominiums - Your One Stop Search for all the Latest Executive Condominiums in Singapore. With lesser government land sale for Executive Condominium and dwindling inventories, it is a privileged for Singaporean to own one. Contact us to find out more on your eligibility and how much to own one. No obligations. 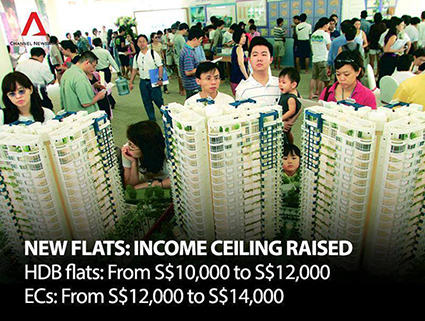 National Day Rally 2015: More Singaporeans will be able to apply for new Housing & Development Board (HDB) flats and Executive Condominiums (EC) now that the income ceiling for buyers has been raised to $14,000 for ECs. ERA has a wide range of ECs to cater for different lifestyle requirements and location preference. Click below for a list of new ECs developments to assist you in shortlisting those that suits you the Most.